The man who created the Mexican sky Jump to media player Filmmaker Gabriel Figueroa was influential in creating a stylised image of Mexico. His son discusses the origin of these iconic shots. Sandro Miller: Value over viral Jump to media player Sandro Miller's photos of actor John Malkovich recreating dozens of iconic images were meant as a critique of social media. Then they went viral. Capturing great artists in their element Jump to media player What happens when an artist becomes the subject of a work of art rather than its creator? An exhibit curated by Picasso's grandson showcases photos of artists at work. Glimpse of Victorian life in London Jump to media player A rare collection of paintings by the American artist James McNeill Whistler offers a glimpse into life by the River Thames in Victorian London. When flying was glamorous Jump to media player The author of Jet Set tells the BBC how new planes in the late 1950s ushered in a new glamorous age of travel - first for the rich and famous, and then for the rest of us. Gabriel Figueroa was one of the most influential cinematographers during Mexico's golden age of cinema. His evocative work created a visually stunning representation of the country, and his influence extended to filmmakers in both Mexico and America, as well as Mexico's celebrated mural artists. 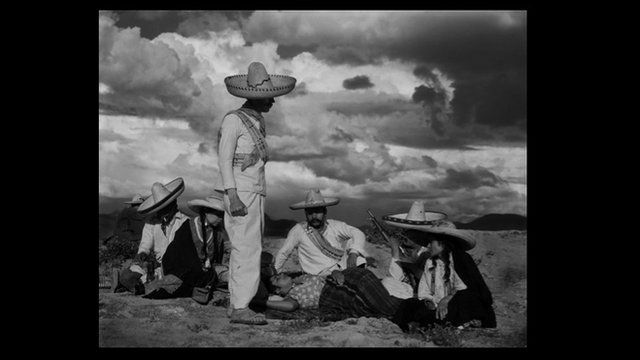 His work is on display at the Mexican Cultural Institute in Washington DC until 3 November. Figueroa's son talked to the BBC about his father's legacy and the lasting impact of his work around the world.